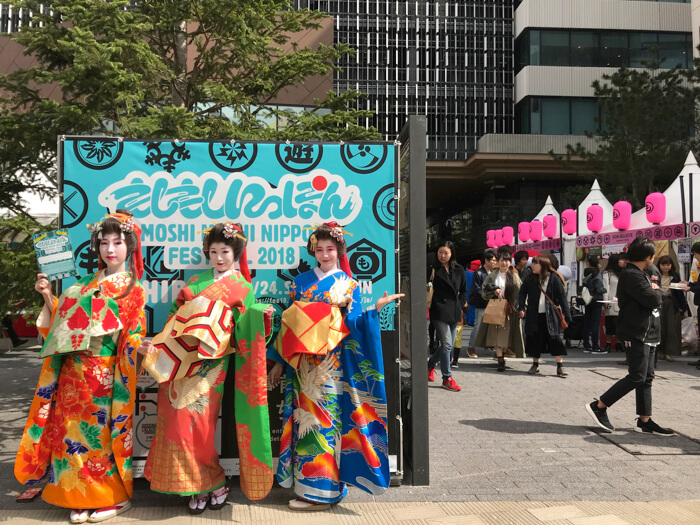 MOSHI MOSHI NIPPON FESTIVAL 2018 in SHIBUYA promoted Japanese culture to people of the world from Shibuya on March 24th and 25th. The weekend event ended with huge success. There were 5 main areas where the festival took place this year. Let’s break them down one by one and see what happened. 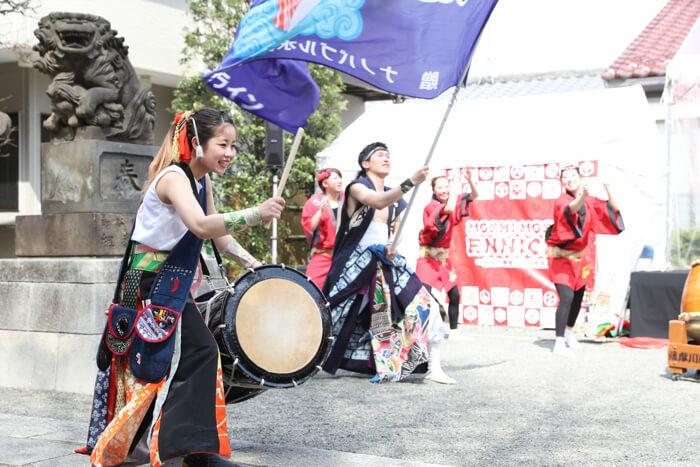 A music event titled Featuring Japanese new music “MOSHI MOSHI MUSIC FESTIVAL” took place. Down in the B1F CUTUP STUDIO at Tower Records Shibuya, influential artists and the music media, who had previously hooked up with many promising artists, became official curators to provide a line-up of artists. 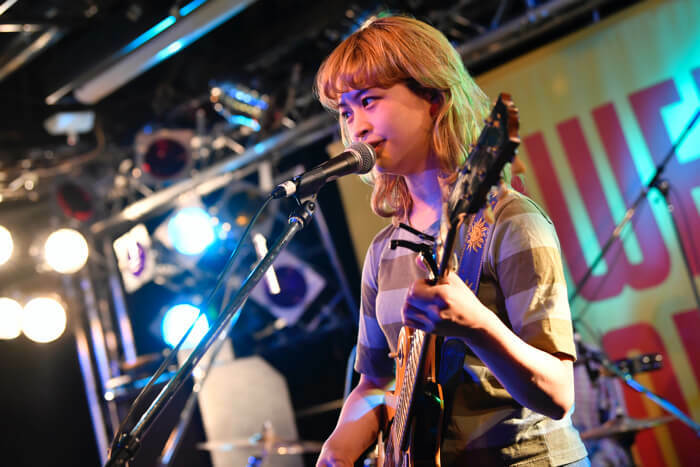 On Day 1, MANON served as the opening act to the first half of the event, followed by the three artists recommended by music media company “Spincoaster” – SIRUP, Mizuki Ohira with Kobayashi Utena, and The Wisely Brothers. 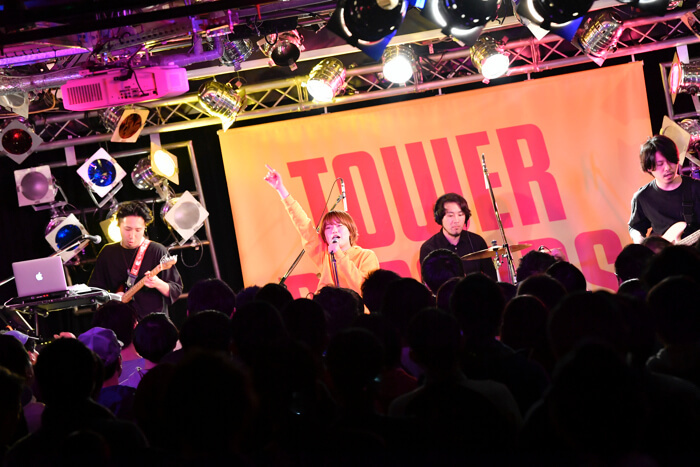 It was a thrilling string of performances as expected from Spincoaster, who showcase fresh music from both inside and outside Japan. In the second half we saw the MC battle produced by WREP, a hip-hop radio channel, under Zeebra and Hachi Moji. 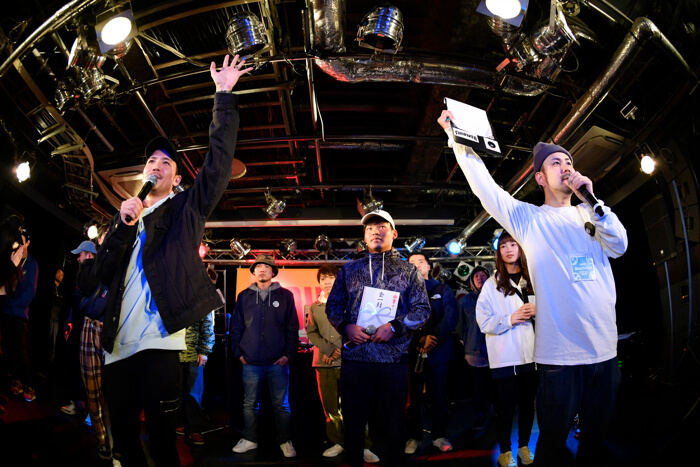 4 teams battled it out in a tournament for the title of best MC, with MC Matsushima, MC Seishain and SAM taking the crown. Winners received a cash prize, wrapping up the first day of the event. On Day 2, Natalie Music worked as curators for the live stage event “Live Natalie meets MOSHI MOSHI NIPPON.” MISMOPE, Nemuri Haru, Monari Wakita, Atarashii Gakkou no Leaders, Luby Sparks, and SHE IS SUMMER took to the stage. Each of them offered a different genre as up-and-coming artists and sang the two-day festival into a close. Up on the rooftop of Tower Records Shibuya, the Sky Garden, a selection of groups from the idol genre, a unique part of Japanese pop culture, performed on stage as artists that MOSHI MOSHI NIPPON wanted to show to the world. 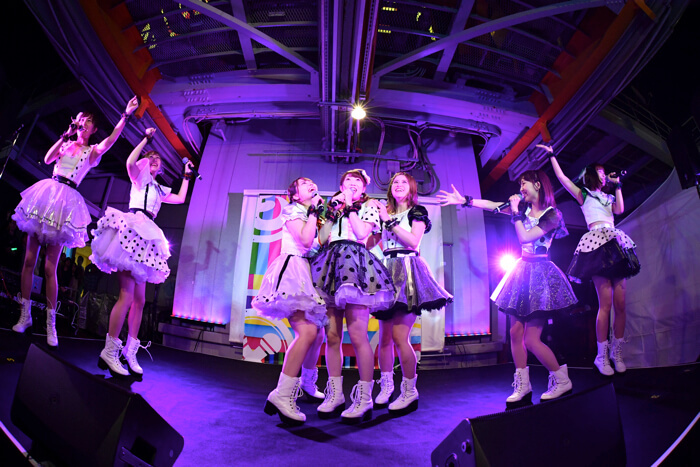 On March 24th, a total of eight idol groups performed including Yamakatsu and CY8ER, and on March 25th nine performed, such as Lucky Doll and The Dance for Philosophy, all of who enthralled the idol fans gathered at the venue. 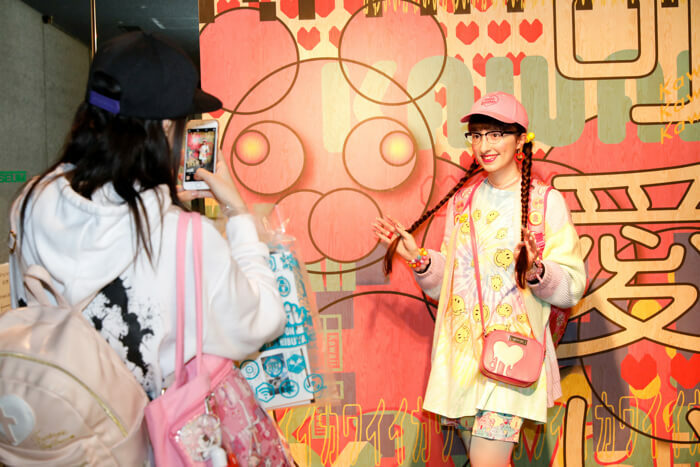 The Harajuku Kawaii Market was presented by Mynavi Baito at Laforet Museum Harajuku and centered on the theme of “Find Japan’s Kawaii♡”. 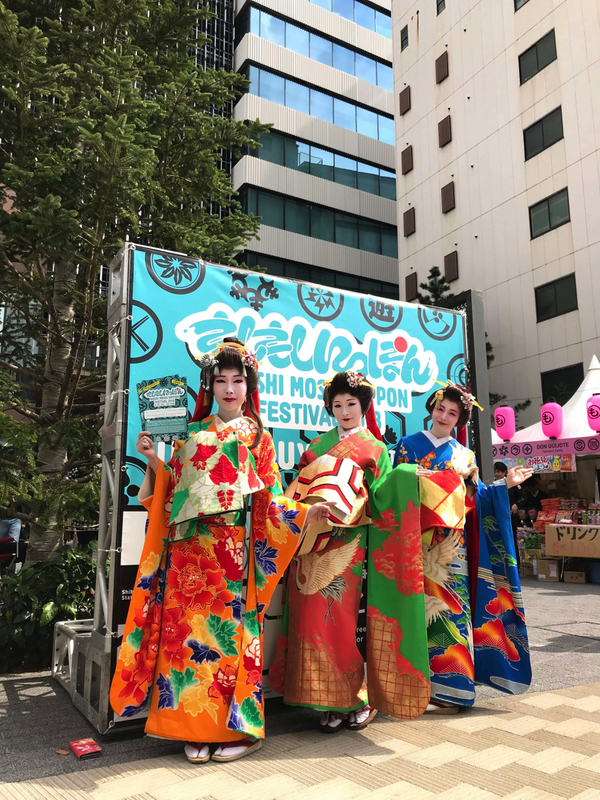 There was a whole collection of booths from fashion to beauty, fortune-telling, DIY and more, as well as appearances from models active in Japanese fashion magazines, artists, and a popular Youtuber. Performers Rei Maruyama and Yuri Suganuma hosted the stage. The two of them are friends and so had a good, natural flow in directing the stage. 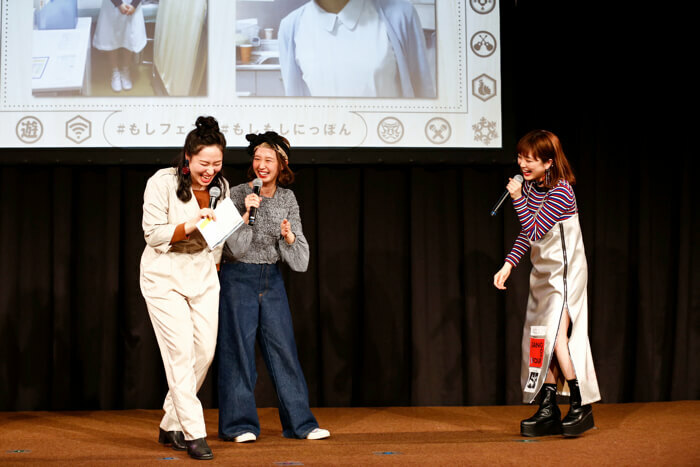 Talk sessions were held around fashion, cosmetics, how to be photogenic and more and saw the likes of Saki Shibata, Rinko Murata, Megane, Noah Satou, Ayaka Segawa, and Rikako Ōya from Babyraids Japan. 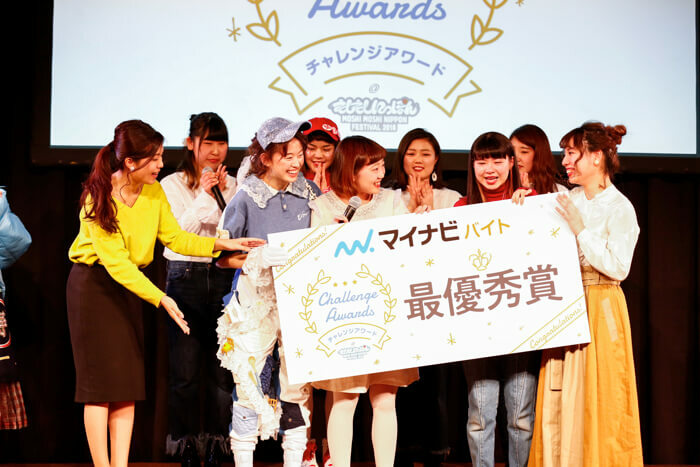 Mynavi Baito also presented their Challenge Award themed on fashion where school students were tasked with designing the cutest part-time work outfit to show to the world. Japanese models stepped out onto stage wearing each of the costumes. 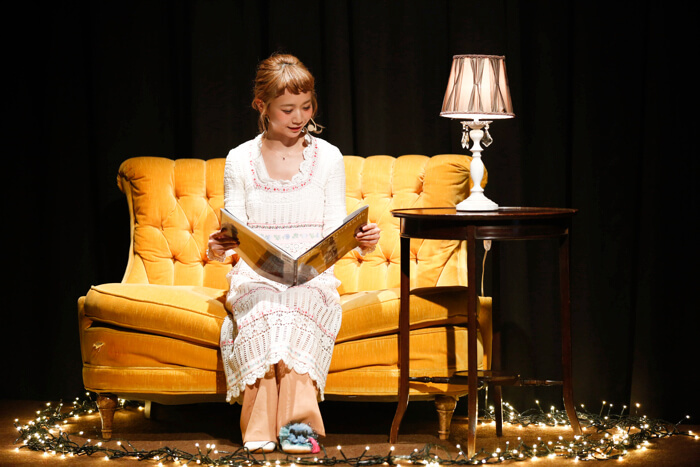 Artist, model and actress Natsume Mito produced her first ever show for the event – a fashion show themed on a picture book. 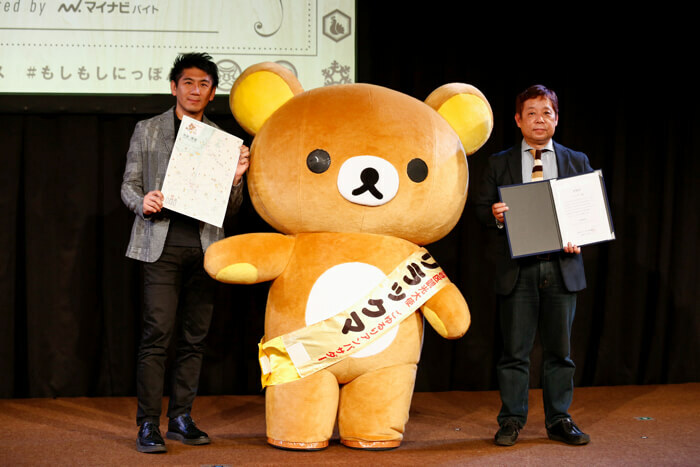 Rilakkuma attended too for his inauguration ceremony to be appointed as a Shibuya Tourism Ambassador. He handed out maps to people at the event. MAGiC BOYZ and Amato Danshi performed live at the market with their catchy music and electrifying dance moves. The booth area bustled with people who attended DIY workshops for making accessories and pin badges, the fortune-telling area, hair styling booth and more. 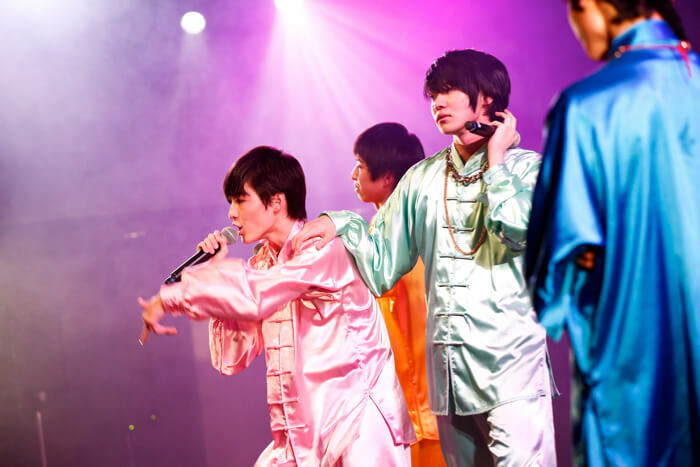 Japan’s kawaii was delivered across two days through the on-stage performances and many booths. 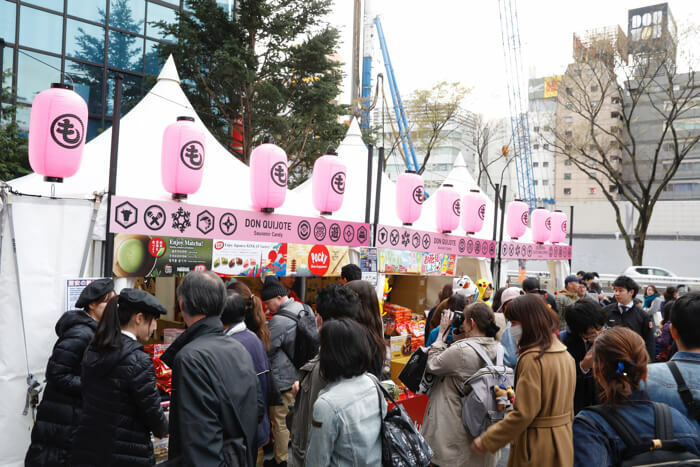 A market was held at SHIBUYA CAST called “Enjoy Hanami Early in Shibuya.” It was dotted with an array of food booths where people enjoyed strawberries from the city of Tamura in Fukushima Prefecture, the popular Kyoto souvenir “Tokyo Baum,” and Japan’s dashi stock. 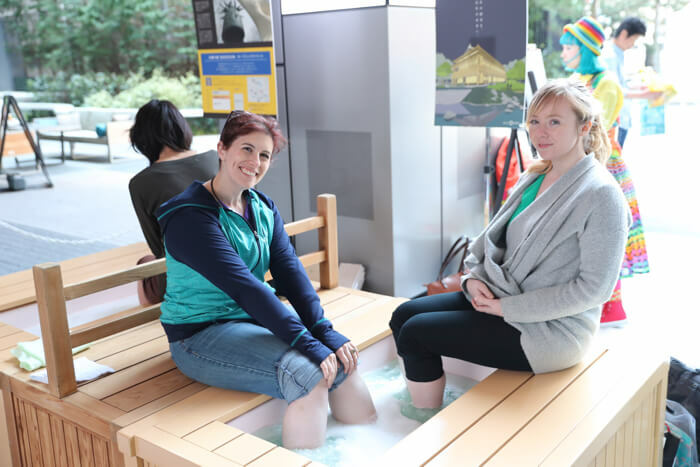 There were performances, people tried on kimono, there was a footbath and more. This area was particularly popular with overseas visitors. Official tours were held called “HARAJUKU EXPERIENCE” with SHIBUYA CAST as the start and finish point. They were very well received. 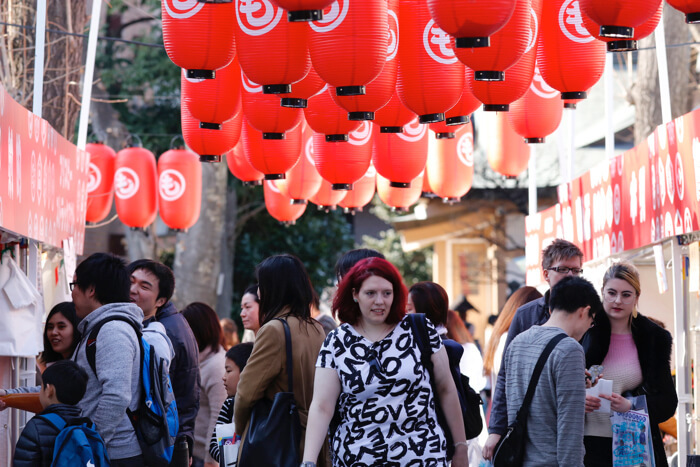 Aimed at foreigners, the tours took them around the fascinating areas of Shibuya and Harajuku. 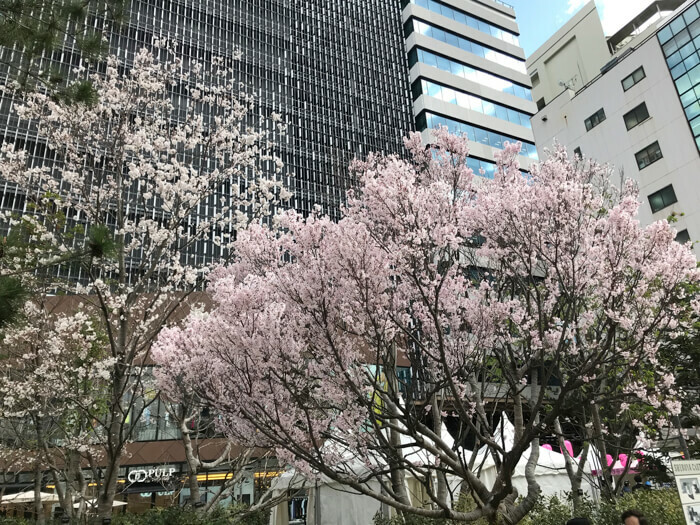 It was just in time for the cherry blossoms at SHIBUYA CAST which were in full bloom this weekend, making the event even more brilliant. 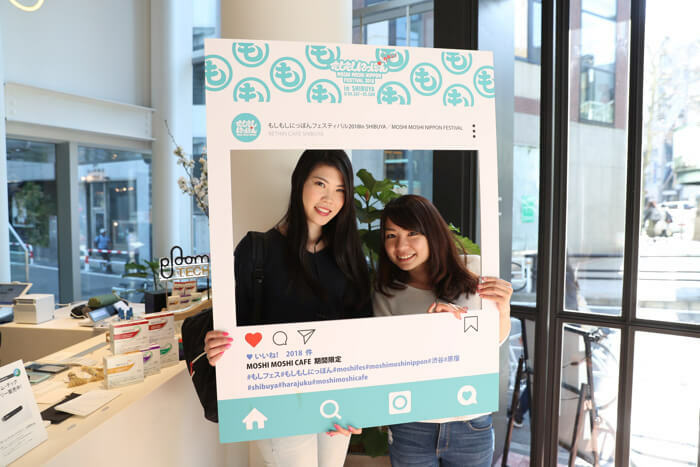 A campaign was held for people to receive free sweets from areas around Japan by taking a photo of food they ordered from the café and posting it online with the specified hashtag. 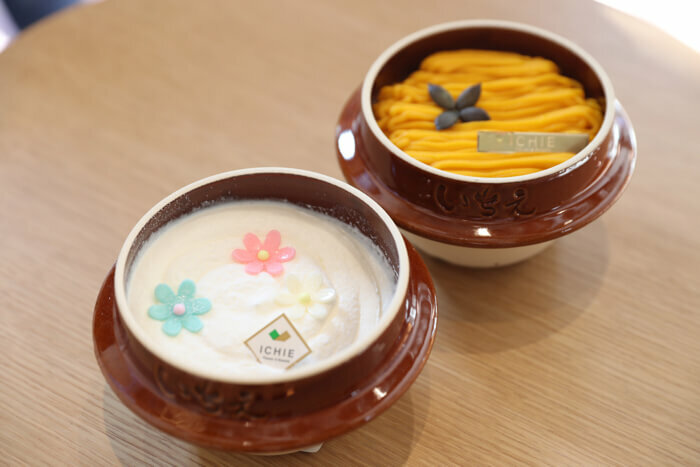 Lots of people posted their food on social media and were able to enjoy free sweets from regions across Japan that are hard to get your hands on in Tokyo. The café served up the individual charms of regions in the country. 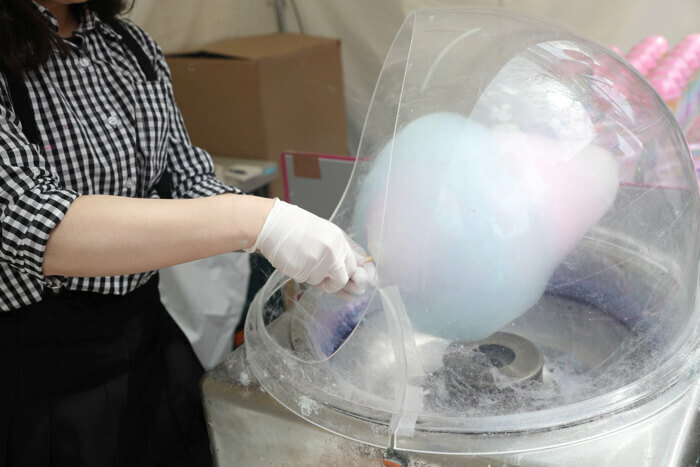 Harajuku-style rainbow coloured cotton candy, cute amezaiku and other treats were sold as food for Ennichi, and there was a booth for foreigners to learn Japanese shrine etiquette. 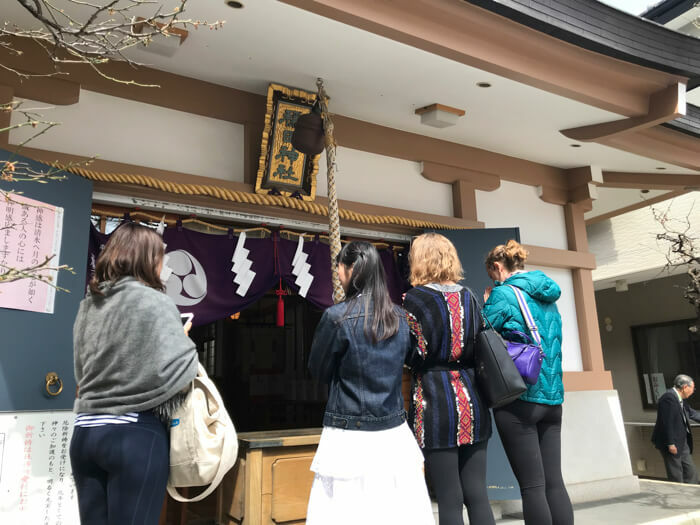 Bilingual staff lectured on the manners and etiquette to teach the proper way of praying at shrines in Japan. 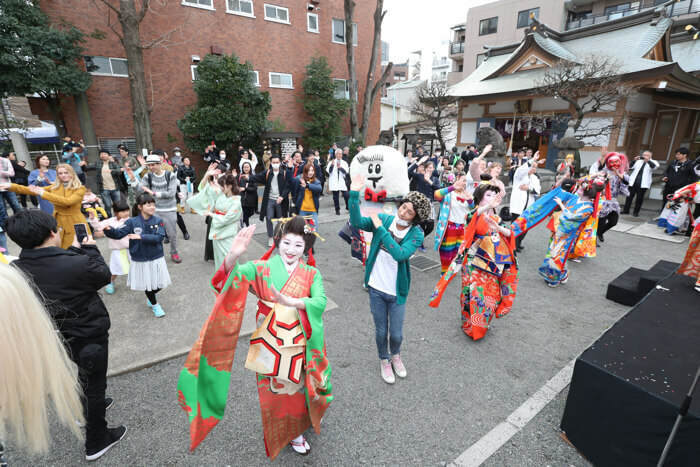 Traditional Japanese performance opened the stage with taiko drums and Awa Odori. There were also character DJs, a display by pro kendama performer EASY and many other things for kids and adults alike to enjoy. At the end of the day was a large Bon Odori dance which the performers, attendees and staff joined in with. 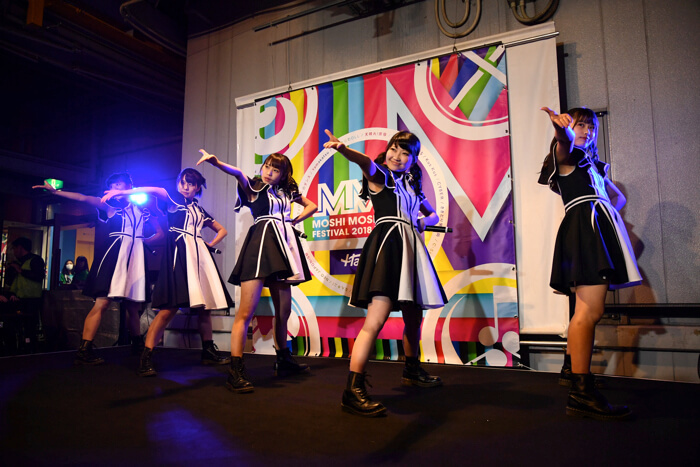 16,000 people attended this year’s MOSHI MOSHI NIPPON Festival across the two days. 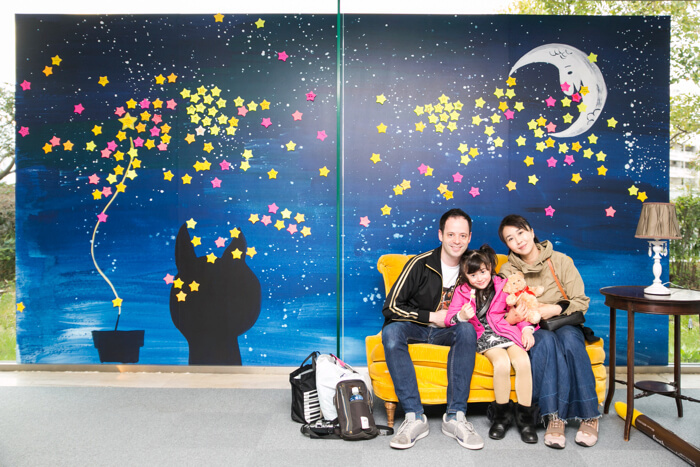 Just like last year, many foreigners attended the event, but this year the variety of content at the festival was upped, the number of families increased, and we saw lots of children getting involved in the booths. MOSHI MOSHI NIPPON promoted Japanese culture to even more people this year, not just with those in attendance, but event to people on the street who were given sampling bags. MMN will continue to deliver Japanese popular to the world through our website and official events. 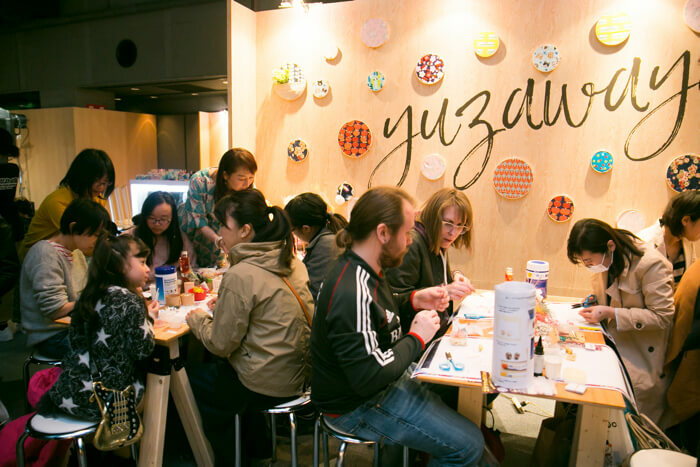 On our website, we post interviews with Japanese artists active both in Japan and overseas, spots to visit and food to try in Japan as recommended by popular models, fashion trends in Japan, and much, much more. We provide information from a unique perspective, so be sure to check us out. ＜Co-Operation＞ TOKYU CORPORATION / SHIBUYA CAST. / Tower Records Japan Inc. / Laforet HARAJUKU / Religious Corportation Onden Shrine / Jnnovations, Inc.